General Hospital Spoilers: Saving Franco...In The Most Unusual Way! General Hospital Spoilers: Saving Franco… In The Most Unusual Way! Saving Franco... In The Most Unusual Way! 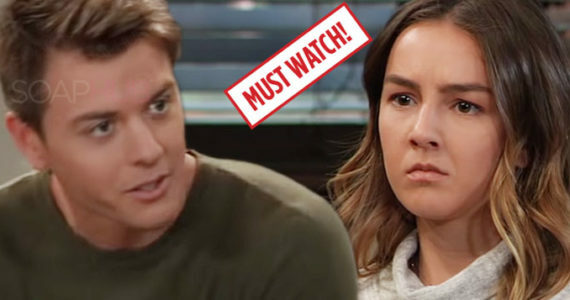 General Hospital spoilers for February 11-15 reveal a week of absolute shock and surprises in Port Charles as it baffles so many how Franco could have gone back to his serial-killing ways. You won’t want to miss a moment of this out-of-this-world week. Nothing seems to make sense surrounding this serial killer case. While Laura (Genie Francis) is inclined to believe her daughter, she also knows that the woman she thinks of as a daughter is in love with the man Lulu (Emme Rylan) accuses. On top of that, he lives with her grandsons and they think of him as a dad. To that end, Laura visits Franco (Roger Howarth) to figure out just what the heck is going on. Is Franco able to convince her they got the wrong guy? Elizabeth (Rebecca Herbst) just knows they have the wrong man because she knows her man did not kill Kiki (Hayley Erin) or anyone else (recently). All of this turmoil also seems to be taking its toll on Elizabeth’s kids because Cameron (Will Lipton) finds himself in trouble again. Spencer (Nicolas Bechtel) is back and might also be in trouble as Sonny (Maurice Benard) tells him to do the right thing.